Two thousand and sixteen was a trying year for those who need to carry epinephrine auto-injectors. With the recall of Sanofi’s Auvi-Q in 2015, patients were left with few options, and in many cases, unaffordable price tags, forcing some families to make some tough budget choices. Mylan CEO, Heather Bresch, was called to task by the media and Congress for what some called price-gouging, given the market dominance of the Epi-pen (Mylan’s branded epinephrine auto-injector) following the disappearance of the Auvi-Q and the lack of new auto-injectors being approved by the FDA. Choice – There are more epinephrine auto-injectors on the market, and most notably, Auvi-Q is back! Kaleo Pharmaceuticals re-acquired the rights to market the Auvi-Q and have re-introduced it to the market. Consumers and doctors can now choose between Mylan’s Epi-pen, Kaleo’s Auvi-Q, and Amedra’s Adrenaclick. So there is choice… sort of. Generics – In response to the uproar over Epi-pen pricing, Mylan launched a generic version of their epinephrine auto-injector, with a price tag of $300 for a twin-pack versus the $600 for the branded version. It’s the same device, same drug, with different labels. Early this year, CVS introduced a generic version of the Adrenaclick – available for $110 for a twin-pack, only at CVS Pharmacies. This would seem to be progress, but it’s important to note that – for most of us with insurance – the Pharmacy Benefit Managers (PBMs) make the decisions about what a plan will cover. The PBMs have a track record of dropping coverage for a brand name drug when a generic is available, and dropping coverage for a drug altogether when it available over the counter. Innovative access solutions – And it’s not just the PBM’s that take a cut of the profits. Take a look at Mylan’s chart which describes the problem. There are insurance companies, wholesalers, and pharmacies involved in the supply chain for drugs. This is why I am very excited about Kaleo’s recently announced access program for the Auvi-Q. The Auvi-Q Afford-ability program bypasses the middlemen. In my opinion, this is a game-changing solution to a supply chain problem and is a particularly well-suited solution for a prescription that doesn’t need to be taken every day or filled every month. Most epinephrine auto-injectors go unused (thankfully) and need to be replaced just once a year. Pricing all over the map – So there is a lot going on, and that is causing some interesting pricing dynamics. On my plan (CVS Caremark), the generic Adrenaclick is the only epinephrine auto-injector covered without the need for prior approval (at a cost of $370 with $20 out of pocket). The brand Adrenaclick (with approval) costs $456, with $210 out of pocket. Neither version of Mylan’s Epi-pen (brand or generic) is covered by my plan in 2017. (In 2016, the Epi-pen was covered at a cost of around $600 with out-of-pocket cost around $100). My prescription plan covers the Auvi-Q only with pre-approval; it is listed at a price of $8910 for a pack of four, with $210 out of pocket. It's not clear whether my insurance plan would cover a twin pack of Auvi-Q, but the official list price for a twin pack of Auvi-Q is $4500. But remember, all that matters is how much you actually pay. When your Auvi-Q prescription is filled directly through Kaleo’s Afford-ability program, if you have insurance, the out of pocket cost is $0. And there are still wildcards. What will happen with the Affordable Care Act? Will Congress take action on drug pricing? And more specifically, will they address the supply chain issues plaguing affordable access to drugs? Note: all prices and co-pays noted here are from the CVS Caremark tool for my insurance plan and may not reflect the pricing you will see. It was Thanksgiving. Plates of turkey, mashed potatoes, and veggies were being passed around the table. 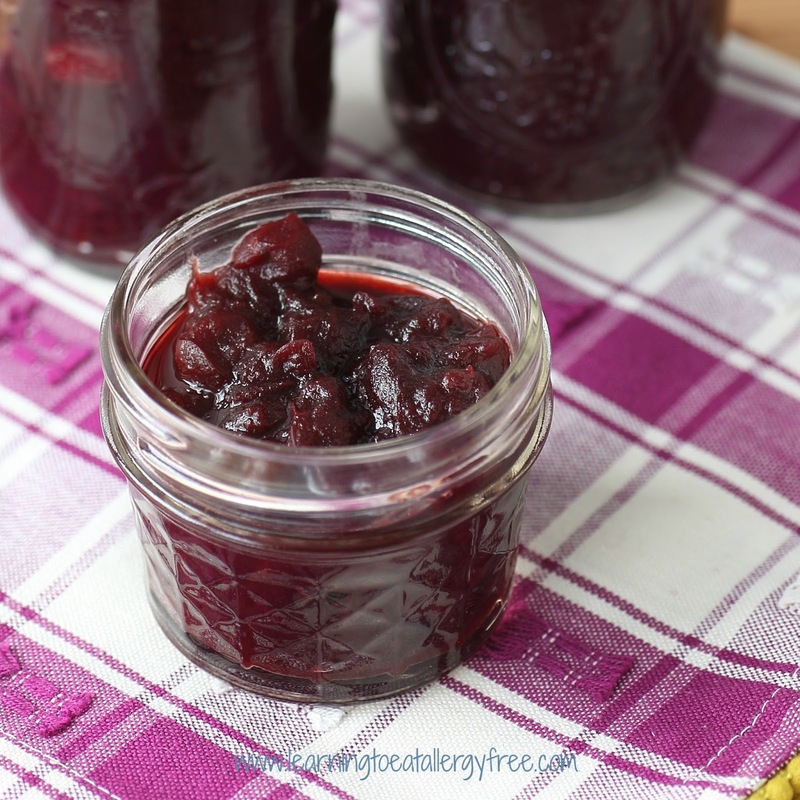 My son asked if we had cranberry sauce. We didn’t. I had made a deliberate decision not to make cranberry sauce. Here’s the back story: I have made cranberry sauce for every Thanksgiving dinner for – forever – or at least as long as I have been preparing Thanksgiving dinner. 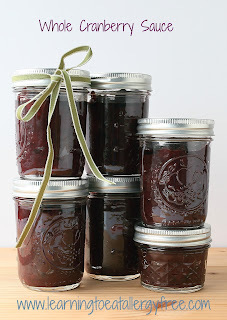 In recent years it seems that I am the only one who eats the cranberry sauce and the leftovers eventually get thrown away. I didn’t think the cranberry sauce would be missed. I was wrong. So when I saw the last of the season’s cranberries on sale at the grocery store, I decided to go all in. 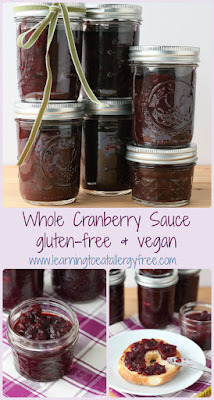 But instead of freezing the cranberries, I chose to make cranberry sauce and preserve it. If you plan to preserve the sauce, as I did, then start a boiling water bath with jars. Combine the cranberries, Sucanat, juices and zest in a large nonreactive pot over high heat. Once it reaches a rolling boil, reduce the heat to medium. Boil for 15 to 20 minutes until all of the cranberries have popped and the sauce is thickened. This sauce is tangy and lightly sweet. 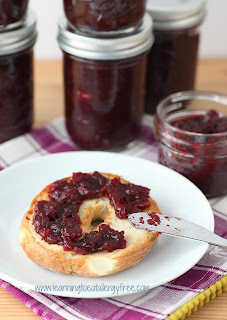 It can be used as a side with your favorite dish or spread on your bagel or toast as a jam. I love having these jars in my pantry. Next time someone asks for cranberry sauce at my dinner table, I will be ready!